David Grant and his wife Nancy founded and co-directed The Mountain School in Vershire, VT, a semester-long program where students live and learn on a farm, which set the standard for seven other similar programs around the country. 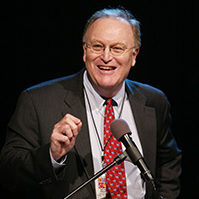 For twelve years he served as President and CEO of the Geraldine R. Dodge Foundation, in Morristown, NJ, which was also known for its innovative programs, notably the largest Poetry Festival in North America, and a capacity building initiative that provided nonprofit leaders with a series of workshops and seminars to help them build healthy organizations and achieve their missions over time. Author of The Social Profit Handbook, David currently lives in Strafford, Vermont and consults with foundations, nonprofits, schools, and businesses with a social mission.